I'm a big fan of buying souvenirs, but I'm always careful to choose things that 1) go with the look of our apartment and 2) will be used or appreciated almost every day. When I came back from Cambodia, I talked about buying memorable souvenirs, but this time in KL I just wanted to hit up all the shops in Chinatown for cheap and cheerful homewares. I constantly go between wanting a minimalist home straight off the pages of Kinfolk magazine or having a vibrant haven of textiles and bold pops of colour. 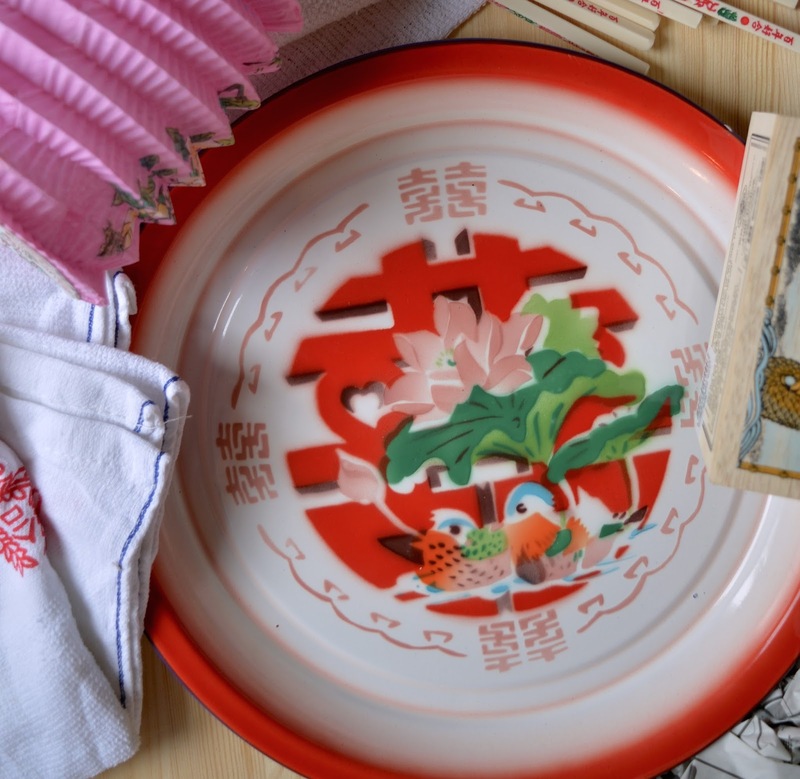 Bordering on kitsch, there's something about the traditional crockery and utensils that I love - I find them nostalgic and when I'm eating a big bowl of noodles then I definitely want a pair of authentic chopsticks to slurp them up with! 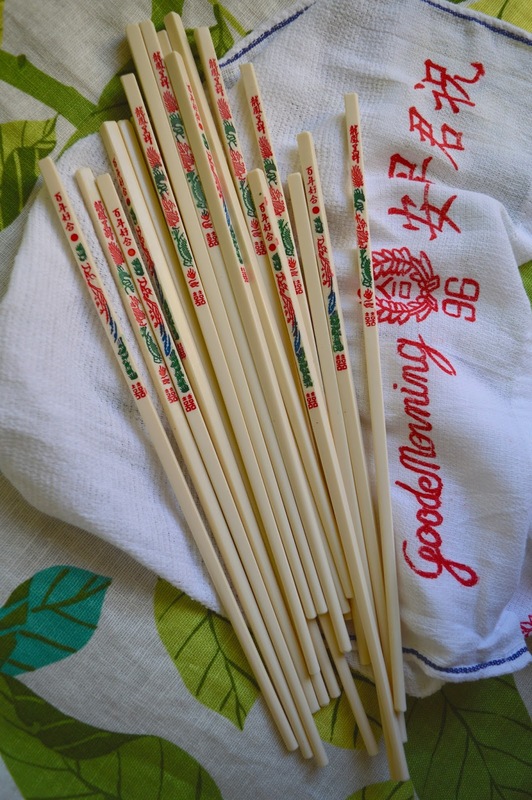 I picked up more pairs of chopsticks than we could ever need at a restaurant wholesale supplier, as well as a couple of tres useful dishcloths, a sweet tray* and some tea, which was actually from Singapore, but comes in the best packaging. *in the interest of being practical, this was not a savvy choice. The tray is slightly domed at the centre, making for some hairy tea-carrying moments! p.s. 5 tips for the reluctant haggler.